BEST SELLER Linkable Clubs MASHA Shop NOW! DIAMOND: new line of metallic adhesive tapes to decorate hoops and clubs. New bright and fluo colours! White polyethylene hoop, FIG approved; Size: round section diameter 18 mm Hoop doesn't meet FIG 2018 requirements and can't be used at FIG level competitions. However, it can be used at lower level competitions without any issues. To be applied on the coloured adhesive tape. FIG type-approved, diameter 18, weight 420 gr. Softness and resistance for a perfect performance of the foot.Beyond being slightly elasticated, the peculiarity of this fabric is the balance between thinness and resistance.Friction tests showed that compared to fabrics as light as alcantara, alcantara lasts more than the others having the same thinness. www.PastorelliSport.ca is the official PastorelliSport equipment distributor in Canada. We provide all variety of Pastorelli Sport's Rhythmic Gymnastics Equipment. All equipment that available at our online store can be shipped within 2 business days after order submitted and payment received. If you are interested in some other PastorelliSport equipment you may contact us via Contact Form. 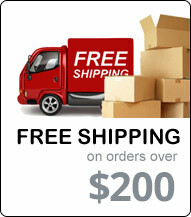 Free shipping available for orders over C$200.00 for Canada and US only (* We are not shipping hoops to US). We offer better aparatus for very good prices. If you have any questions do not hesitate to contact us via contact form. We will be happy to help you.